Digital Hive Mind was contracted by PCI to create a family of environmental designs to support the company’s rebranding efforts, which launched October 12th at CPhI Worldwide, Madrid. PCI’s new brand identity reflects the integration of recently acquired Penn Pharma and Biotec Services International, and introduces PCI’s expanded service offering which supports pharmaceutical products from development through commercialization. 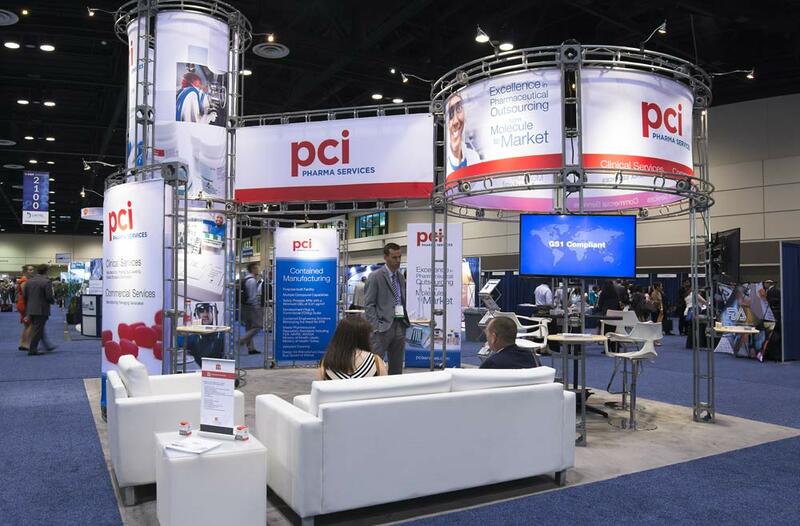 PCI’s new branding was unveiled in the U.S. on October 25th at the 2015 AAPS Annual Meeting & Exposition. 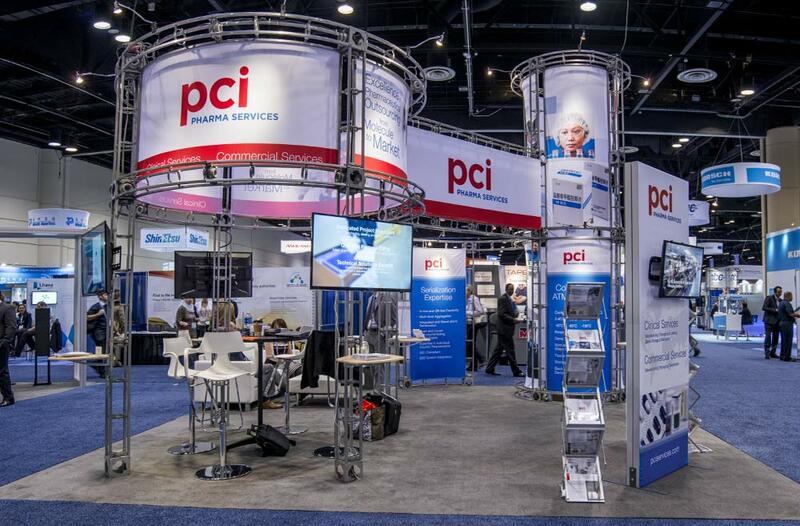 Digital Hive Mind was also tasked with the design of multiple tabletop and freestanding displays to promote both PCI’s Clinical Trial and Commercial Packaging Services in the U.S. and the E.U.